yyyyyYYYYYYYAAAAAAAAAAAAAAAAAAAAAAAAAAAAAAAAAAAAAAAAAAAAAAAAAAASSSSSSSSSSSSSSSS AN UPDATE! Good job man! Asking if i may use this in my modpack, credits and official link will be posted as used mods. I'm looking for Computercraft for 1.10.2 and whatever mods it needs to run. I've search everywhere, but can't find it. Can you please provide a link? Whilst there hasn't been an official release for 1.10.2-1.12, there are development builds you can download from here. For 1.10.2, you can download this file. This works great. I'm developing with it's API in 1.10.2 and all seems well so far. I want to go ahead and try this on our server but was just curious, is an official release for 1.10.2 planned? Would really like to use it to regulate our ExtremeReactors with turbines like I did back when we had a 1.7.10 server. I loved walking into my power plant and having a row of 3x3 monitors showing me the status of each of my turbines and my reactor. Also curious if there have been any issues reported with the 1.10.2 version, and if so, are they being addressed. With that, if we find issues, is there a github or anything where you would like issues reported for 1.10.2 or is that not something you plan to continue with? I can't speak for Dan, but I'd be surprised if there was an official release for 1.10.2. I'm pretty sure Dan's stance is to keep CC on the very latest version. With regards to the unofficial builds: they aren't any less stable than the latest 1.12.2 build. There are a couple of minor issues but nothing which is going to blow up in your face. If you find issues, the best thing to do is report them on my GitHub and I'll check if it's a 1.10.2 bug or a more general one. I'll try to get it fixed in any case. Nice Mod, is there a 1.11.2 Version I can download? Whilst there hasn't been an official release for 1.11/1.12, there are development builds you can download from here. For 1.11, you can download this file. There isn't an official port, but I've put together a pull request which is waiting to be merged. You can download a compiled version of it here. Sorry, I forgot to mention that you'll also need to include this file in your mods folder. Normally you wouldn't need to, but CC's build system is a little weird. Sorry. Ahhh, sorry. We rewrote the build script and, in the process, moved things to a different website. I fixed most links to the old site, but evidently forgot these. The new download page exists here. You now no longer need to download the luaj-jse file. Thanks, I gota have my turtles. 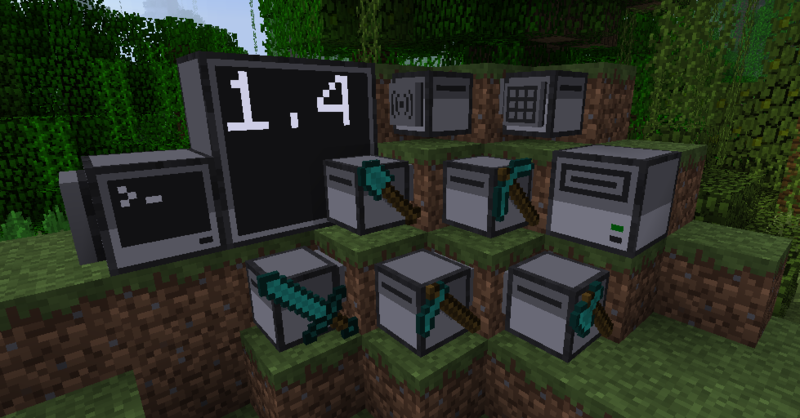 so is there an update on the way to integrate this mod into 1.11.2? The compiled version, what's the commit number? If you want I could post an issue on github, but first here since this is where I found a link to the jar. I'm using linux mint 18, MultiMC 5 launcher, the latest stable version. I've tried two forge versions - 2282 to match Sponge, and 2228, the current forge-recommended version. Anyway I placed a computer and right-clicked it. Didn't launch. Any suggestions?